Microfiltration (MF) and Ultrafiltration (UF) are membrane-based filtering technologies that use thin layers of semipermeable material to separate out contaminating particles, such as organic material, bacteria, suspended solids, and other pollutants. In industries such and dairy, pharmaceutical, and chemical, the separated material may be a product they are recovering, and more facilities continue to use membranes for their separation needs, as they solve a wide variety of industrial pretreatment, separation, and purification challenges. Nearly all MF/UF membrane filtration systems are subject to fouling, where deposited materials collect along the membrane surface, reducing its efficiency and increasing energy usage. It is one of the most common problems we see. Whether the materials fouling the membrane are organic, biological, colloidal, or scaling in nature will generally determine what solution is best, but keep in mind that there are a variety of other factors that can contribute to how much membranes will foul. These factors can include the pressure and speed at which the liquid is forced through the membrane and other operational conditions. When biological, organic, or colloidal fouling occurs in your membranes, it is mostly due to an overabundance of biological, organic, or colloidal material present in the source water along with improper pretreatment. As we separate the feed solution into two parts, the foulants will concentrate and typically cause the pressure to drop while facilitating a low permeate flow. chemical cleaning with various cleaning solutions or detergents, including caustic/acid treatment, chlorine sanitization or antiscalants/dispersants. ensuring proper pretreatment via sedimentation or prior filtration methods (such as sand or activated carbon). mechanical actions such as backwashing, air scour, and vibration to loosen and flush out foulants. scheduled cleaning regimens should be designed into the system. A robust system will include quick backwash during the day with chemical assist. This may include air scour and chlorine or acid addition. Rigorous chemical cleaning can be applied infrequently. The cleaning solutions and methods that might be useful in preventing and fixing fouled membranes will, again, vary on the material fouling the membranes and the conditions of the filtration unit. For example, in a project released by the Water Research Foundation (a nonprofit organization that aims to advance water science and protect the environment/human health), a desalination plant’s membrane filtration system was being consistently fouled with problematic algal blooms. After trying a few solutions, they found that fouling was greatly reduced when hydrodynamic shear was limited, thereby minimizing algal breakup. Low-shear pumps were included in the system design to be run at lower speeds during algal-bloom peaks. They also found clay was helpful for removing algae in the flocculation phase. If your facility is experiencing problematic fouling, be sure to talk to you water treatment specialist about possible solutions. Oftentimes, what you might think is the issue could be something different entirely, which is why we always recommend treatability studies, membrane autopsy, and pilot testing to get the best diagnosis and treatment suggestion for you specific filtration challenges. In some cases where the fouling is irreversible, your membranes will need to be replaced. 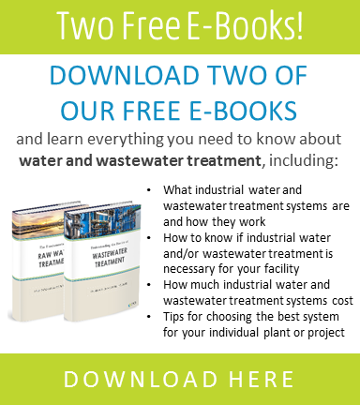 When treating liquid streams with MF/UF, it is common that roughly 5% – 15% of the stream’s volume is going to need treatment as a secondary, concentrated waste, and it is likely this secondary waste will need to be treated for disposal. Sometimes this includes releasing to the environment under a SPEDES permit or to a POTW (publicly owned treatment works). These disposal permissions need to be negotiated in advance to be sure that the plant will achieve the effluent or discharge requirements and avoid expensive fees if the regulations aren’t met. 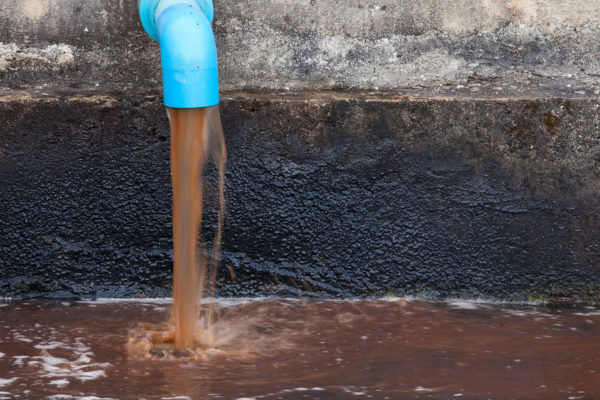 There is usually little-to-no chemical treatment in the case of MF/UF, and for that reason, the only contaminants in the secondary waste are solely what contaminants were present in the water source, albeit highly concentrated. Sometimes this waste can be discharged back into the source water or injected into deep wells. Some are diluted and used for irrigation in agriculture. If they cannot be discharged additional treatment may be required such as filter pressing to reduce TSS before discharging. The waste generated by the cleaning process will need to be treated for discharge or trucked to a treatment facility. Your facility should have a plan in place for this secondary waste to ensure all agreements/regulations are met wherever or however your waste is being disposed of. When particles are getting through MF/UF that should be separated out, there is a good chance the fibers in the membranes are compromised. This should not occur in closely-monitored membrane filtration systems. Integrity testing is often used to test the effectiveness of your MF/UF membranes, and it is essential to ensuring consistent and reliable filtration/separation. Many manufacturers will recommend a bubble test, where you drain the MF/UF module and pressurize it with compressed air. As you raise the air pressure, if you see large, continuous bubbles, it’s an indication that there are tears in the fibers somewhere. Some MF/UF modules can also be tested with the pressure decay method, where pressurized air is pumped into the module and held for about 10 minutes. A higher pressure drop indicates an issue with the fibers. As always, consult with the manufacturer of your MF/UF system to ensure the proper care, maintenance, and testing is implemented.